Transport for London yesterday released a photograph showing the first completed support tower for the east London cable car. At 200ft, the North Intermediate Tower is the shortest of the three that will be built, and is on the north side of the Thames, near the new Emirates Royal Dock terminal. 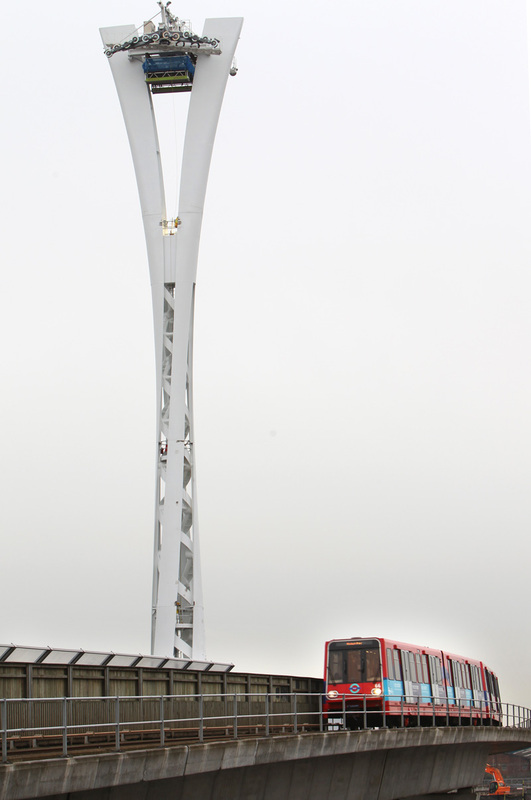 TfL also released an image showing how the cable car will look on the Tube map when completed. The version of the map released last week depicts the route in a dotted line, with the legend 'under construction'. 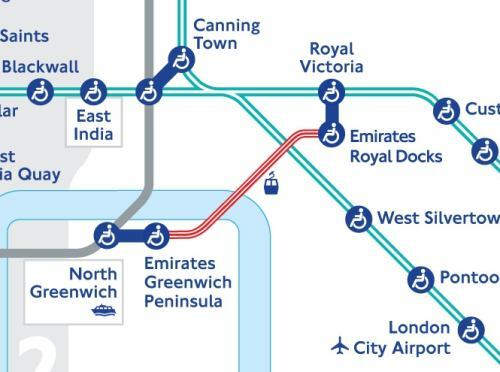 The finished version of the route is marked with three tightly-packed lines, to demarcate it from the Tube (thick line) and Overground / DLR / National Rail services (two thinner lines), and is displayed using the corporate colour of Emirates, the project's sponsor. In addition, as previously noted, the airline's name is mentioned eight times in total on the map; not bad publicity for a £36m deal over ten years. Speaking of sponsorship: on the map, North Greenwich station has lost its 'for the O2' branding. Perhaps TfL considered one sponsor per map to be sufficient.